I know they can do it! Key is to score first. Get that momentum building early! Good start and we got this. Newbs. Chain the damn emoticons. I don't want to start deleting posts here! shame on you for breaking the chain. Never break the Chain. Stevie Nicks would be upset. Cards are a crappy road team and this is our house. Despite the shameful displays of late they are the ones who should be afraid. I think it's not just that we are down 2-1, it's the manner in which we lost the last two games. That said, the game starts 0-0 tomorrow. We get out to an early lead, and we'll all feel so much different then we do right now. 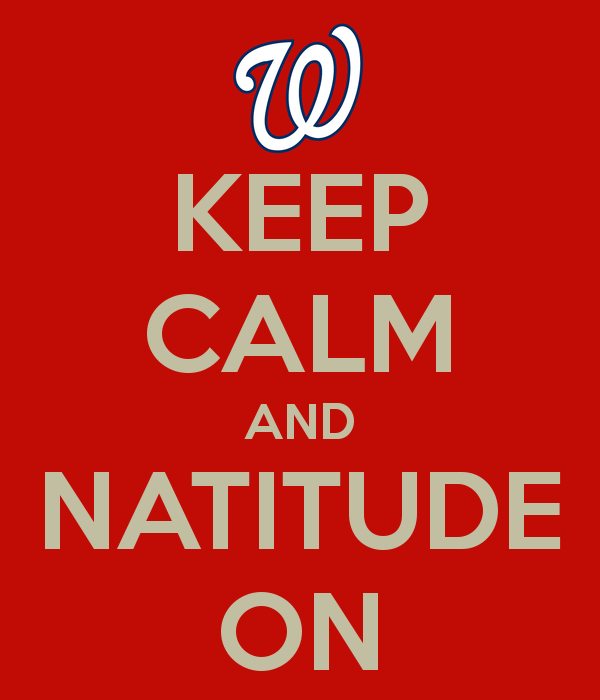 NATITUDE! We out cheered them and they ran like cockroaches. What? Over? Did you say "over"? Nothing is over until we decide it is! Was it over when the Germans bombed Pearl Harbor? Heck no! And it ain't over now. 'Cause when the goin' gets tough... The tough get goin'! Who's with me? Let's go!